Our extensive range of Electric Winch is designed and developed with latest technology and are used not only for lifting loads but also to haul & erect them. Further, these hydraulic lifting winches are also used in various erection & repair jobs. To meet the variegated demands of the clients, our company is instrumental in offering an excellent quality range of Girder Crane Winch. 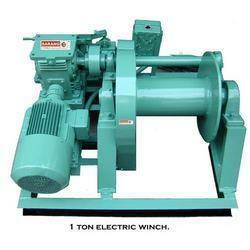 We are known as one of the leading manufacturers and suppliers of a wide range of Crane Winches. These high performance cranes are specifically designed to lift and shift heavy material from lower level to a higher level. 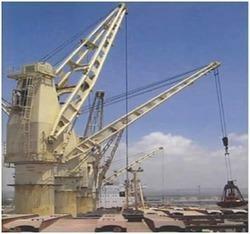 These cranes are operated by the clients in various applications and are praised for features like low operating weight, alternative power sources and compact dimensions.